Annyeong hi pretty lady! Today is a Saturday and its raining outside. I want to build the good vibes around here, my mood is pretty gloomy lately. Anyhow for today I will be reviewing my current concealer which I bring everyday, TONYMOLY Cover Pot Concealer Face Mix. TONYMOLY Cover Pot Concealer Face Mix is in 4g pot available in only 2 shades which are 01 Light Beige and 02 Natural beige. Soft application with silky coverage on wrinkles or on op of white heads. Apply small amount on blemishes or area needed. It looks glass to me but its plastic. 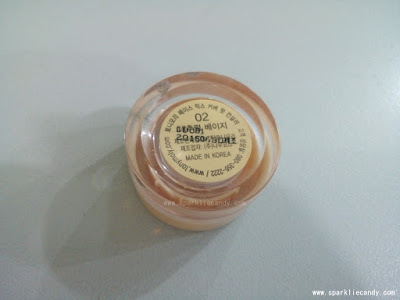 The shade number is at the bottom of the pot but there is no ingredient list nor translations. I got TONYMOLY Cover Pot Concealer Face Mix in shade 02. Natural Beige is a fair beige with yellow undertone. I think the 01 shade is for brightening the under eye. I avoid buying lighter color for my concealer because it highlights my dark spots instead of hiding them. For red marks I still recommend green concealers. Make sure to moisturize prior to using this concealer because it may be patchy if you have dry skin. The consistency is smooth and very easy to spread. It is creamy which means the pigmentation is sheer. I guess I will like it better if has more of a dry formula. I only use my fingers on application and I can say the coverage is decent but is not so buildable. With brush I think heavy coverage is possible. I use it sparingly on my under eye area but it quickly creases though. The concealer melts at the end of the day so I need to bring it so I can reapply. 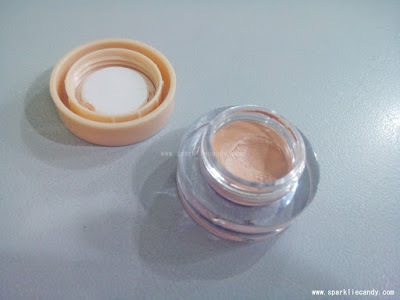 This is my first Tonymoly concealer and I want to try their other variants. I recommend this to students and girls in a budget who wants an everyday concealer. 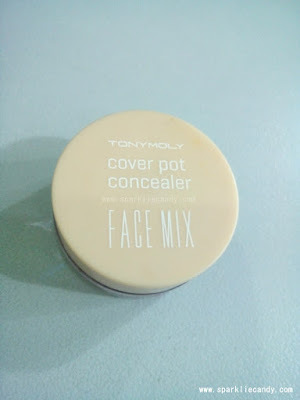 If you only need medium coverage, very few marks to cover and you want to let your skin breathe, then TONYMOLY Cover Pot Concealer Face Mix is the product for you. What is your favorite concealer right now? Let me know in the comments.